Compared to a more serious charge, a misdemeanor may not seem serious. Yet any time you are caught up in the legal system, the results can significantly affect your life. An attorney in McAlester Ok can help you manage the impact of a misdemeanor charge so you can move on with things that matter in your life. Misdemeanor charges can result from what started out to be an ordinary interaction with others. 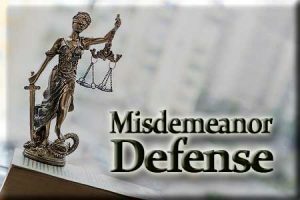 Although some misdemeanor charges can have heavier consequences than others, all misdemeanors can subject you to fines, probation, and incarceration in the county jail for up to one year. For many people, failure to deal with a misdemeanor upfront can be the beginning of ongoing legal problems that stretch out for years. People who fail to contest or settle a misdemeanor often end up in a revolving door of arrest and incarceration for failure to pay fines, failure to appear in court, and failure to comply with court terms. A single misdemeanor conviction can start a person on a path where subsequent convictions could be felonies. Misdemeanors include a wide range of crimes in Oklahoma. Frequent misdemeanor cases brought in Pittsburg County District court result from a DUI arrest, a check written against insufficient funds, public drunkenness, shoplifting or petit larceny, assault, or assault and battery. In looking at this list, it is apparent that some charges are more serious than others. If you are facing charges for a misdemeanor, it may be tempting to try to self-manage the process without the help of legal counsel, but that may be a mistake. Jail time is often a possible consequence of a misdemeanor. Any time your freedom is threatened is a good time to seek professional legal counsel. The bottom line is, a McAlester misdemeanor attorney will simply know more about the law, the local rules of the court you will be in, the judge that you will face, and what that judge may or may not want to hear from you regarding the crime. Sometimes, a person is aware that an investigation is proceeding against him or her. Bad check cases, for example, might simmer along as the bank returns a check for insufficient funds until eventually, a person is charged with a misdemeanor. At other times, your first indication that trouble is ahead can be the arrest itself. In either case, it is important to hire an experienced McAlester misdemeanor defense lawyer as soon as you find out. Law enforcement officers will often try to get a defendant or potential defendant to provide evidence against themselves during an interrogation. Police officers often try to coerce a confession by appearing to be your friend during the process. It is critical that you do not ever speak to police without an attorney present. Always remember, that the police can and will use all evidence against you if they are able. Sometimes, police make mistakes in the criminal process. They may forget to read you your rights, or they make an illegal search and seizure resulting in evidence that leads to your arrest. Your McAlester attorney will be able to ascertain if any of these mistakes have been made in your case. If so, your attorney may be able to work out a plea agreement with opposing counsel or even get the charges against you dismissed. Sometimes, a trial may be your best option, especially if you have a particularly strong case. Your attorney will be able to advise you regarding the best way to resolve your case. If a trial is needed, rest assured that your attorney will be with you every step of the way. Likewise, your attorney can help you obtain favorable sentencing post-trial if needed. Sometimes, your attorney can reduce sentencing to a minor fine if the situation warrants it. If you or a loved one is facing misdemeanor charges in the McAlester area, call for help today. The Wirth Law Office – McAlester is proud to provide its clients with the very best in representation at reasonable rates. 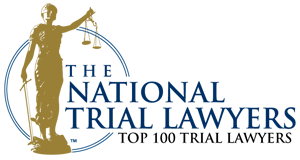 For a free consultation with a McAlester criminal attorney, call 918-302-9656 or submit your question using the form at the top right of this page.